FIFA 10 is a bit slower paced than FIFA 09, so passing is still a crucial skill to be able to do well. You must learn to posses the ball through passing before looking for that killer through ball that puts a striker in on goal and other useful techniques such as playing a ball to the winger and learning when to cross. Holding a good percentage of possession is very important. If you do not possess the ball, your opponent does, and obviously, he can score if he has the ball. Good possession of the ball is hard to teach, you must look for those short passes around the midfield. Don't be afraid to play the ball back! Even though you're loosing ground towards goal, playing the ball backwards to an open player gives him many more options forward than you would have had. He can then play a ball to the more central midfielder who was not an option when you had the ball, and he might have some really good passing options due to the space you opened up with this quick rotation of the ball. Crossing is an incredibly useful tool in FIFA 10 due to the effectiveness of headers and importance of strength. Done most by wingers and outside midfielders, the cross is when a player plays a lofted pass from the wide flanks of the pitch to open strikers in the box who are ready to put it into the net. There are three types of crosses in FIFA 10. 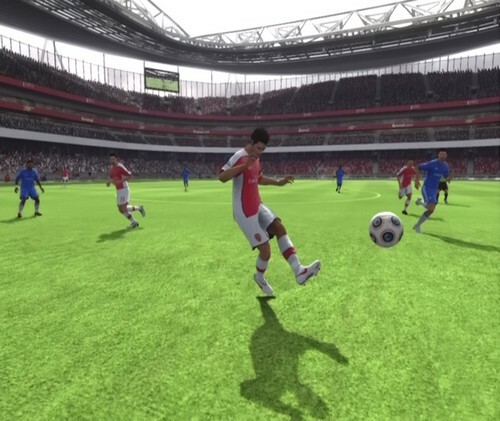 Passing in FIFA 10 is set to assisted controls by default. By this, I mean that whenever you attempt to pass the ball, the computer greatly alters the amount of power your pass will have and the direction it will go, almost regardless of what you did with your controller. If you set your passing controls to Manual, you will have full control over the power and direction of your shots. It takes some getting used to, but it is very much worth it in the end, once you get good at it.